One of the best ways to keep your relationship lively, romantic and enjoyably heavenly is by saying or sending romantic/sweet love messages and riddles to your partner. Regular lovely text messages and love riddles goes a long way in building a stronger bond between couples. It doesn’t matter if the relationship is still in its budding stage of friendship or peak stage of marriage; love riddles on a daily will get things going really cool for lovers of all classes. While there’s no argument on the positive effect of love riddles, love quotes and romantic text messages, there’s a big one on whether they should be sent daily or not so often. Irrespective of the party you support, these 7 apps will help you get unlimited love riddles and love quotes to send to your partner. They were carefully selected to suite the needs of those looking for a perfect love riddle to send to their lovers. They are packed with near-limitless love riddles, love quotes, dating lines, and romantic text messages. You’d find them very interesting once you are done reading and downloading the apps or its alternatives to your mobile device. Android smartphone users can also share these apps with their friends by downloading flash share apk. Love messages 2018 is an intriguing mobile app to get good love riddles, love quotes and romantic text messages that would spice up your relationship easily. It also have romantic sayings or SMS messages that could help you build a more solid bond between your partner. Love Messages 2018 is packed with over 700 different and interesting love quotes, messages, and riddles; all arranged into 12+ categories, so you can easily get to the exact one you are looking for. This is one of my favourite love applications in mobile app store. You can as well use the love lines, quotes, and sayings on this app to keep the attention of your social media followers on your profile at all times by updating your status messages with them. You can download and install love messages 2018 from This Google Playstore link. c’mon, let your partner give his/her brain a little thinking job. Make your partner search the internet and encyclopedia just to get answers to the riddles is fun at its best. You’d easily surely fall in love with this app, if you’re set to have time for your partner. 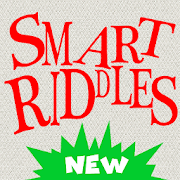 The Smart Riddles app is an app that shows lots of interesting and brain tasking riddles. 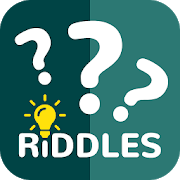 The huge collection of riddles in this app are very challenging, anyone who cracks or answers them easily would definitely be a great thinker. It comes with different types of riddles both for kids and adults; you’d find a good number of interesting riddles to send to your lover/partner. There is also an option for hints when you come across some real tough riddles. With this app, there will be less or zero boring time in your relationship and love adventures. Took your partner out to watch a movie and it seems the movie is becoming boring? Do you want something that would make your lover glued to you at most times? Do you have a smartphone? Here is a super-challenging riddles app to keep your day going. 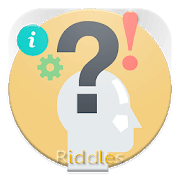 Just Riddles mobile app has a lot of interesting riddles for everyone and they are fascinatingly challenging. Brain riddles and answers is a very fascinating riddles app to get good love quotes, riddles and/or romantic texts. You’ll find challenging puzzles on this app which would possibly take you a couple of minutes to solve. It can easily get your day going with these many intriguing and fun-filled brain teasing contents. Brain riddles and answers will also help to boost your creativity level as you’ll get to learn so many new stuff with it. The name “Silly Riddles” sends different thoughts and meanings into one’s head. Well, this is an interesting riddles mobile app to spice up your relationship with. It comes with the best and most funny riddles you can ever imagine. 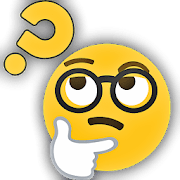 You can quickly search out riddles using the provided search feature which is activated when you tap/click on the search icon at the top of the app window. Meet the Love Adult Riddles App, a fascinating leisure riddles app for lovers or anyone who fancies adult jokes, funny riddles, romantic texts and answers games This riddle app has lots of funny, interesting and fascinatingly matured riddles that would make you think for a very long time before coming up with the correct answer. 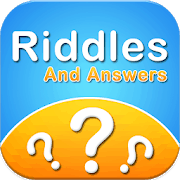 Love Adult Riddles mobile app isn’t available on Google playstore, but can be downloaded from this APK Pure direct download link. I tested these app thoroughly to ensure they’re the best for love riddles, romantic texts, loves quotes and soothing sayings. They’d help to increase your box of thinking and also get your partners exercise their brain with intelligent guesses. They are completely offline apps and light-weighted and as such won’t bug your phone or cause them to lag. Do you know of any other Love Riddles App or an app to get romantic texts and love quotes? We’d love to hear about that. Kindly share same below by dropping their names, features and/or download link.